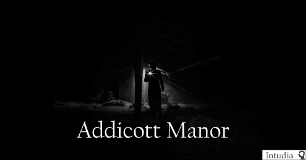 My review of the IF Comp 2018 game “The Addicott Manor”. Contains spoilers. 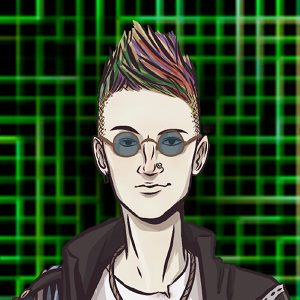 My review of the IF Comp 2018 game “The Origin of Madame Time”. Contains spoilers. 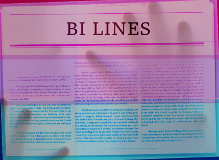 My review of the IF Comp 2018 game “Bi Lines”. Contains spoilers. 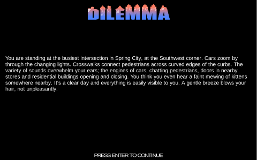 My review of the IF Comp 2018 game “Dilemma”. Contains spoilers. I’m working on reviewing as many IF Comp games as I can. This central post collects them all together. My review of the IF Comp 2018 game “Bullhockey”. Contains spoilers.